Transnet assesses strategic risks on an annual basis. Risks are evaluated on an inherent risk basis before considering current controls. Both internal and external factors are considered to understand the interconnectedness of risks and to appreciate potential impacts. 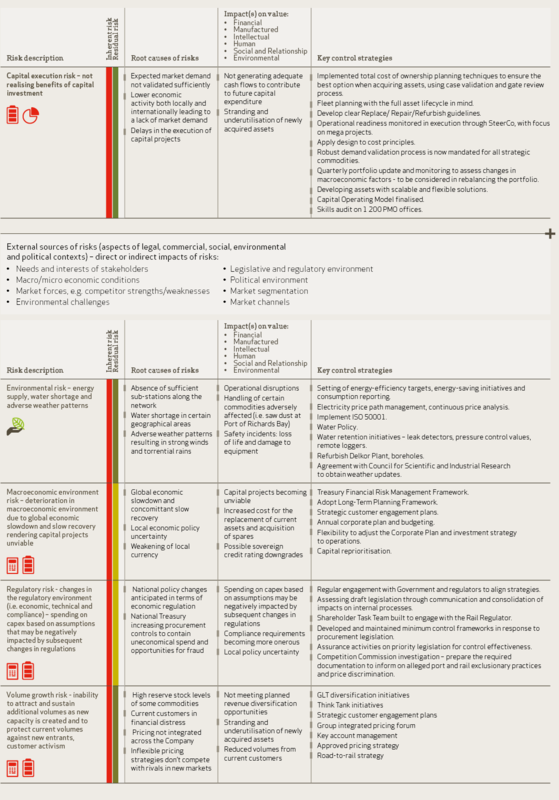 Risk sponsors are assigned to each strategic risk to ensure mitigation strategies are aligned across all operations. The Group Leadership Team rates the effectiveness of the current basket of controls, which are expressed as a percentage, resulting in a residual risk rating for each risk. Figure 11 shows Transnet’s overall material risk universe for the 2018 financial year. Figure 12 shows Transnet’s top 10 material risks for the 2018 financial year, as approved by the Board on 9 November 2017. 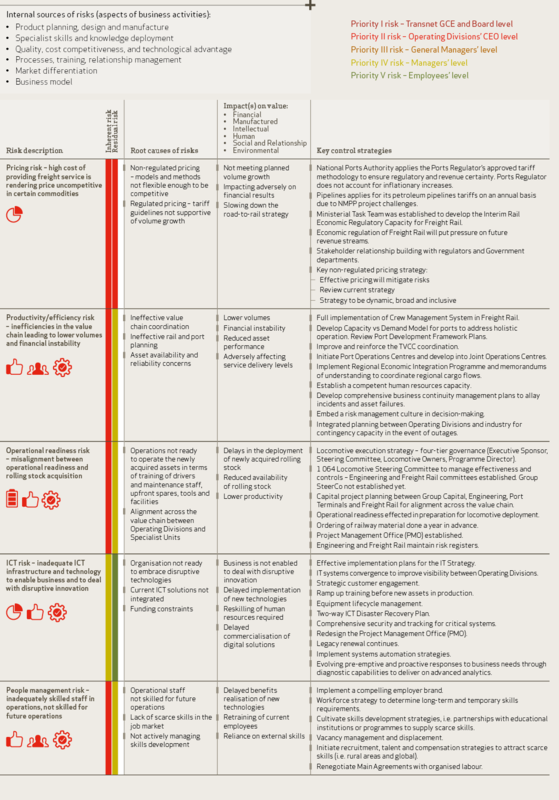 The relative positions of risks are plotted on the heatmap according to their consequence and likelihood ratings, and expressed as a consolidated priority risk rating. 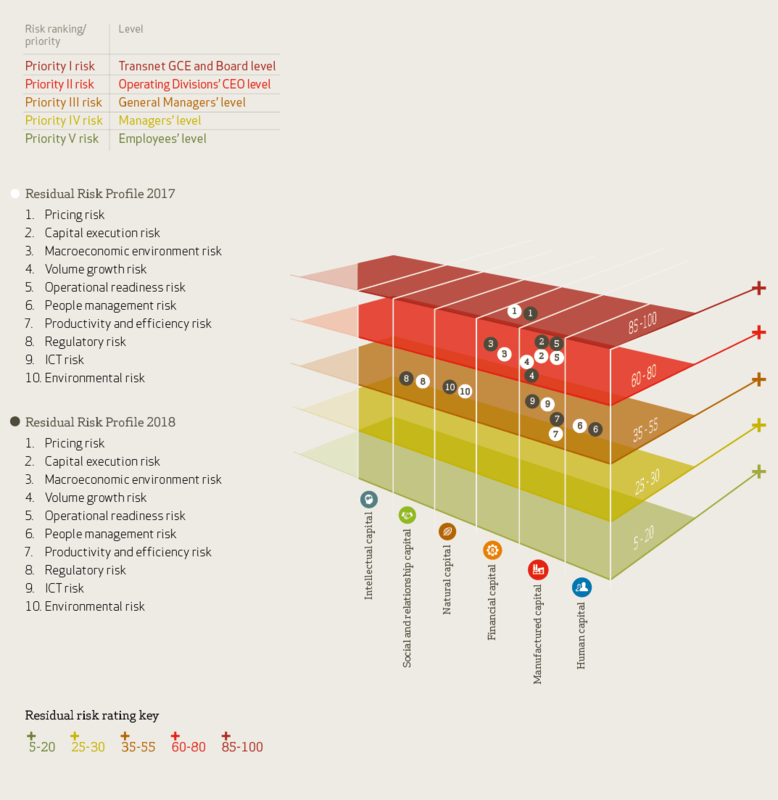 The top 10 material risks for 2018 are plotted in relation to the prior year’s top 20 material risks. Practices that lead to Government intervention to rebalance infrastructural disparities can lead to ethical transgressions. Perceptions of anti-competitive behaviour and corruption negatively impact reputation and investment sentiment. Sound corporate governance and a track record of ethical leadership can attract local and foreign investment and promote our reputation. 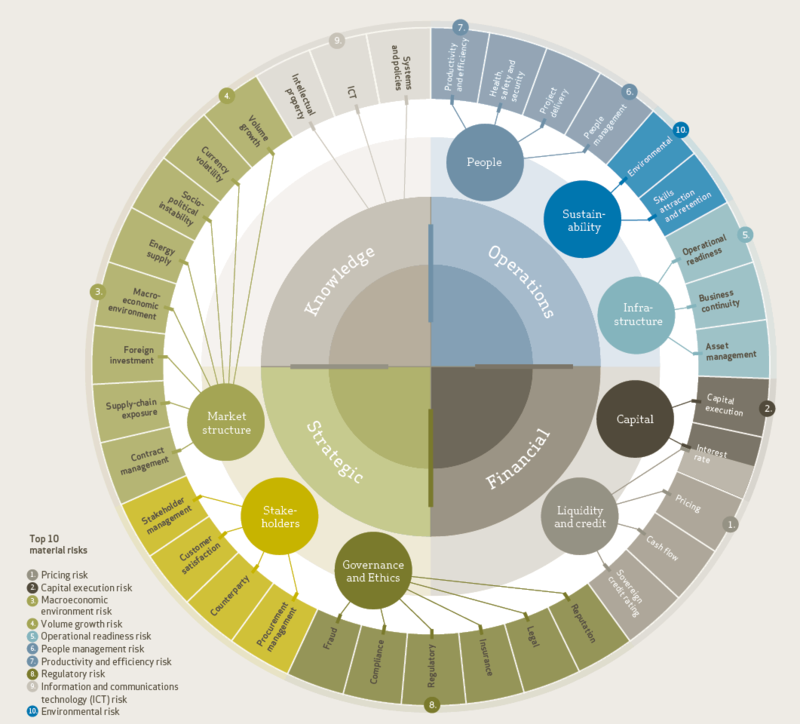 The Governance Framework guides management of governance and ethics. The Board delegates leadership for ethics and sustainability matters to the Remuneration, Social and Ethics Committee. Transnet is subject to sections 51 and 55 of the PFMA’s obligations. Negative stakeholder sentiment adversely impacts the Company and affects global investor confidence. Proactively engaging stakeholders retains customers, counters competitive resistance, and attracts critical talent and investor confidence. Structured process and protocols for engaging stakeholders and handling stakeholder concerns – from everyday interactions through to crisis communication (read more). Risks include adverse impacts of energy supply, pollution, water shortages and extreme weather patterns. We can set leading precedents in managing waste and pollution within operations, particularly in view of our regional strategy. Transnet’s freight demand modelling tools quantify the highest-impact opportunities to reduce greenhouse gas emissions. Our environmental stewardship initiatives focus on energy and water use. Transnet’s Energy Policy outlines our commitments to energy efficiency and security. The ISO 50001 energy management system is implemented across the Company. Transnet is investigating alternative energy technologies. Adverse impacts on communities could lead to reputational risks and challenge our social licence to operate. e.g. localised procurement, enterprise development and employment. Transnet Foundation* invests in projects with a strong community impact. Integrated CSI approach between the Foundation* and Operating Divisions. ‘Radical transparency’ – stakeholders demand that all facts are put on the table, even if uncomfortable. Lack of transparency can lead to loss of stakeholder confidence and reputational risks. Transparency enables more realistic future expectations and builds trust. * Due to changes in the operating model in 2018, part of Transnet Foundation resources have been incorporated into Transnet Corporate Centre. Adherence to standard operating procedures (SOPs) in a highly industrial operating environment and public safety at level crossings. In adhering to SOPs, our staff become personally accountable for operational impacts on colleagues, the environment and communities while reducing business interruptions. Recognition agreements with trade unions ensure a safe working environment. Transnet has to compete for scarce skills with other engineering firms and SOCs. As an ‘employer of choice’, Transnet attracts scarce technical skills, and strengthens staff retention and sustained productivity. Transnet’s talent management and development programme plans for priority and critical positions. Leadership programmes and coaching target specific management levels. Feeder training pipelines support critical skills categories. Low productivity levels due to absenteeism, strike action or operational inefficiencies lead to unreliable services, reduced asset performance and adverse impacts on service delivery. Efficiency gains improve operational efficiency of the entire freight logistics system - shaping the country’s ability to compete globally. The TVCC coordinates oversight of operational activities in the value chain and streamlines task flows. Automation and digitisation within operations enhance efficiencies. Transnet not realising benefits from its capital investments. As a SOC, Transnet facilitates broad-scale industrial opportunities by delivering major infrastructure benefit to the country and promoting the localisation of supply on mega projects. The Capital Governance Framework has an integrated assurance framework that empowers oversight authorities to assess, challenge and direct project, programme and portfolio delivery. Inadequate liquidity can negatively impact the Company’s going-concern status and impact our credit rating, cost of funding and investment plans. Private sector partnerships enable Transnet to broaden the available finance pool and expedite infrastructure development and capacity creation. Positive engagement with financial capital providers. We access facilities from various sources for bridging finance. We constantly review our finance and funding strategy. Tariff decisions could impact negatively on investment decisions, investor confidence and strategic execution. To justify tariff increases we must provide infrastructure service reliability and technical innovation commensurate with tariff increases. Through operational efficiency and R&D activities, we enhance infrastructure reliability, as well as our technical expertise. We manage national sector policy processes, tariff modelling and tariff benchmarking to ensure a fair return on investment and cash flow. Our pricing strategy for non-regulated entities ensures pricing methodologies; and tools, governance and performance measures inform business decisions. Revenue risk management mitigates policy, economic and reputational risks. We are engaging Government policy departments and regulators. The global economic growth outlook, while improved, is clouded by policy uncertainty as pressure mounts on the world trading system. The positive trajectory breaks with several years of declining growth, yet the projected growth rate falls short of reducing unemployment, poverty and inequality. Compliance with the Treasury Financial Risk Management Framework. Adopting the Long-Term Planning Framework. Developing and maintaining strategic customer engagement plans. Not attracting and sustaining additional volumes as new capacity is created and protecting current volumes against new entrants. Opportunity to capture greater domestic market share through the road-to-rail strategy and geographic expansion. Basing volumes targets on inputs from customers, financial plans, funding requirements, operational plans, capital investments and risk management strategies across the Company. Socio-economic and political instability in operating countries and operational risks in planning and staffing of the regional business. The region needs improved infrastructure connectivity, which Transnet can facilitate through its Africa expansion strategy. A subdivision of Transnet – Transnet International Holdings (TIH) – will direct all regional activities. The risk that poor client service delivery and capacity constraints result in strained relationships with customers and loss of business. Mutually beneficial customer relationships facilitate long-term planning of commodity performance with customers. Designing transparent capacity allocation processes. Becoming a 3PL end-to-end logistics service provider. Collaborative partnerships with customers and private sector partners can support end-to-end logistics service solutions. Strategic commercial partnerships play a crucial role in enabling our regional integration strategy. Transnet is pursuing agreements with various port authorities to develop regional shipping services, thus boosting inter-Africa trade. Concession opportunities are also being pursued. Create new market opportunities by strengthening partnerships with regional OEMs. As a SOC, Transnet must deliver on Government’s developmental imperatives (i.e. job creation, skills development, transformation and localisation). Transnet promotes social value through employment equity in the Company and black economic empowerment through our suppliers. Transnet’s Employment Equity Policy supports the Employment Equity Act, No 55 of 1998. Transnet’s Broad-Based Black Economic Empowerment (B-BBEE) policy and strategy addresses economic transformation. of national capability among local suppliers. The scale and scope of our procurement expenditure creates and empowers local black businesses in many sectors. Transnet promotes training, skills development and local technology transfer, particularly through our relationships with OEMs in our locomotives acquisition programme. Our Supplier Development Plan is guided by Government’s Competitive Supplier Development Programme. Enterprise development hubs in Johannesburg, De Aar and Saldanha Bay provide a ‘one-stop’ business resource facility for potential suppliers. Ensuring the recruitment and retention of top-quality employees in all employment groups – for the Company, but also to boost South Africa’s market competitiveness – particularly in the engineering and logistics sector. Our human capital strategy approaches job creation within the framework of strategic workforce planning. Our supplier development initiatives create direct and indirect jobs in the wider economy. The risk that essential business functions are interrupted during or after a disaster, operational incident or challenges, such as load-shedding or inadequate Information and Communications Technology (ICT) infrastructure, which extends to cybersecurity failures. Equipment lifecycle management and ICT Disaster Recovery Plan. Comprehensive security and monitoring for all critical systems – including cybersecurity. Changes in the frequency, intensity, spatial extent, duration and timing of extreme weather and climate events, resulting in business disruption, infrastructure vulnerability, safety events and economic losses. Business continuity interventions in place in case of weather disruptions. Two-way ICT Disaster Recovery Plan. Comprehensive security and monitoring for all critical systems. New technologies can displace Transnet’s established technologies or alter its way of doing business, resulting in business losses. Transnet can use and develop ‘disruptive technologies’ to adapt to industry evolutions. Transnet 4.0 Strategy – strategy for growth in the context of a disruptive and innovative 4th Industrial Revolution. Digital technologies to reimagine the business and revenue streams. The digital growth aims to develop commercialisation strategies and customer value propositions for growth initiatives. Long-standing value chain models are being transformed by new entrants who restructure the way value is delivered to the customer. They use productivity, technology and innovation to change the division of labour and influence workflows, skill needs and control. 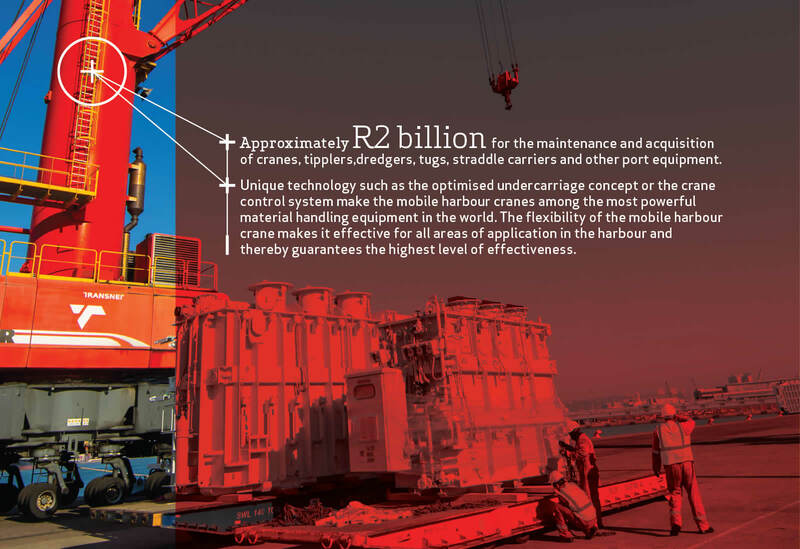 As an end-to-end 3PL logistics provider, Transnet can use technology, skills and value chain partnerships to eliminate whole stages of complex logistics value chains. The Framework and Capacity Planning unit is developing future scenarios within the Transnet 4.0 context. Value chain performance measures to drive incentives. Automation to simplify, integrate and optimise end-to-end Freight Rail value chain processes. Digitising the transactional value chain. The TVCC is being geared to deliver total product transportation solutions to final destination. The risk of Transnet not being ready to embrace or adapt to disruptive technologies and our current ICT solutions not being integrated. We can create new and innovative technologies to adapt to the 4th Industrial Revolution. Leading the convergence for digital planning in the capital project environment – tools, systems and processes. Digitisation project for managing construction projects. Predictive systems to maintain Transnet’s assets.